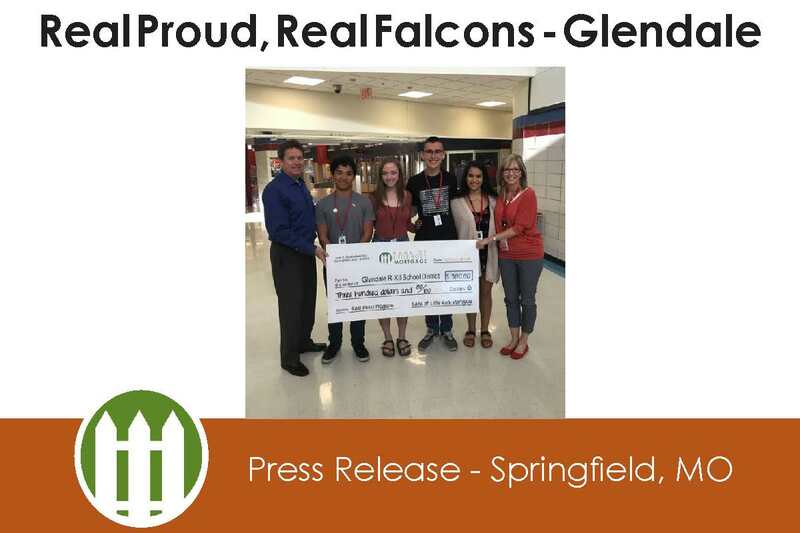 Photo Caption ( left to right): (10/19/2018) Jeff Widmeyer representing Bank of Little Rock Mortgage, Students Ethan Barney-Stavrou, Emily Edmondson, Drew Robertson and Sofie Hass and, Glendale Principal Dr. Natalie Cauldwell. Four Glendale High School students were recognized by Bank of Little Rock Mortgage on Friday, October 19th during Glendale’s football game. The students were honored as a part of the Real Proud of Real Falcons program, sponsored by Bank of Little Rock Mortgage. 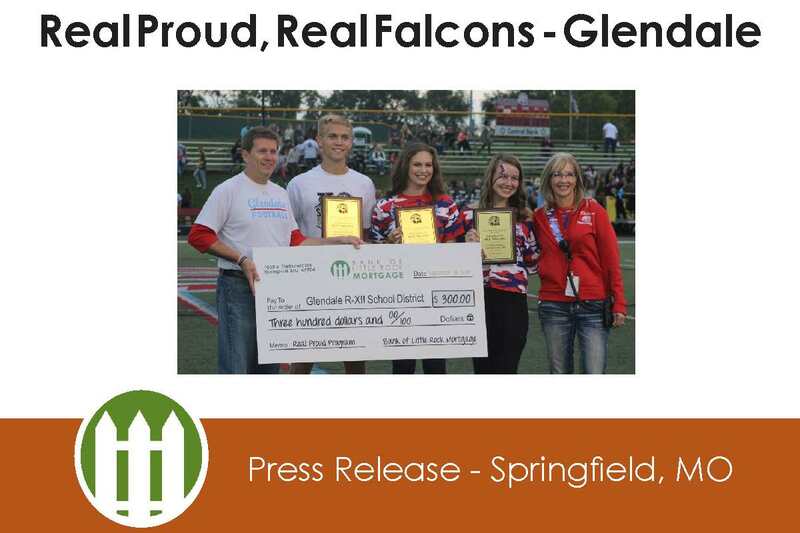 Three Glendale High School students were recognized by Bank of Little Rock Mortgage on Friday, September 28th during Glendale’s football game. The students were honored as a part of the Real Proud of Real Falcons program, sponsored by Bank of Little Rock Mortgage. September 21st, during the Cabot high school football game. The students were honored as a part of the Real Proud of Real Panthers program, sponsored by Bank of Little Rock Mortgage. 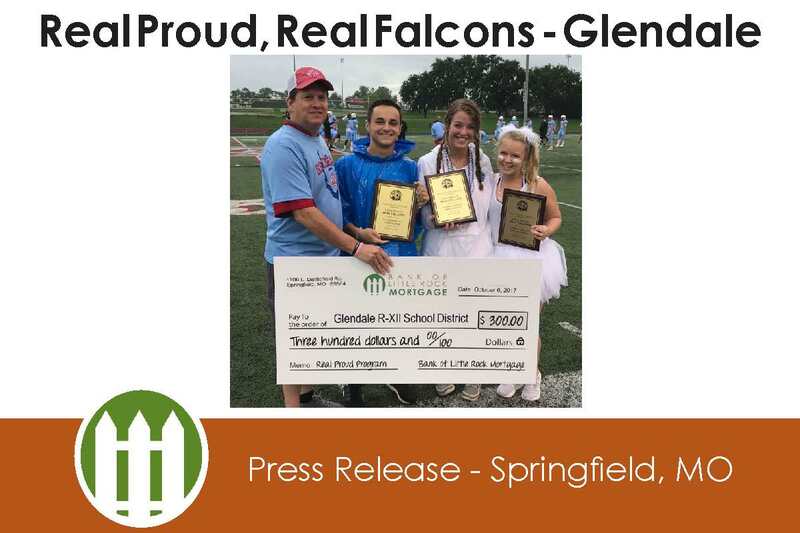 Three Glendale High School students were recognized by Bank of Little Rock Mortgage on Friday, September 7th during Glendale’s football game. The students were honored as a part of the Real Proud of Real Falcons program, sponsored by Bank of Little Rock Mortgage. 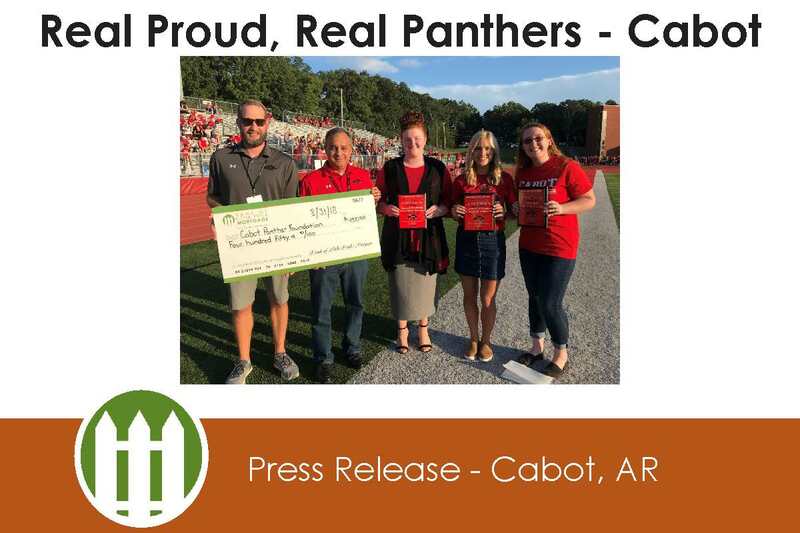 Photo Caption (from left to right): (8/31/2018 Photo) Dr. James Hertzog with the Cabot Panther Foundation, Steve Jackson representing Bank of Little Rock Mortgage, students Alexis Motes, Lauren Turner, and Caitlyn White. August 31st, during the Cabot high school football game. 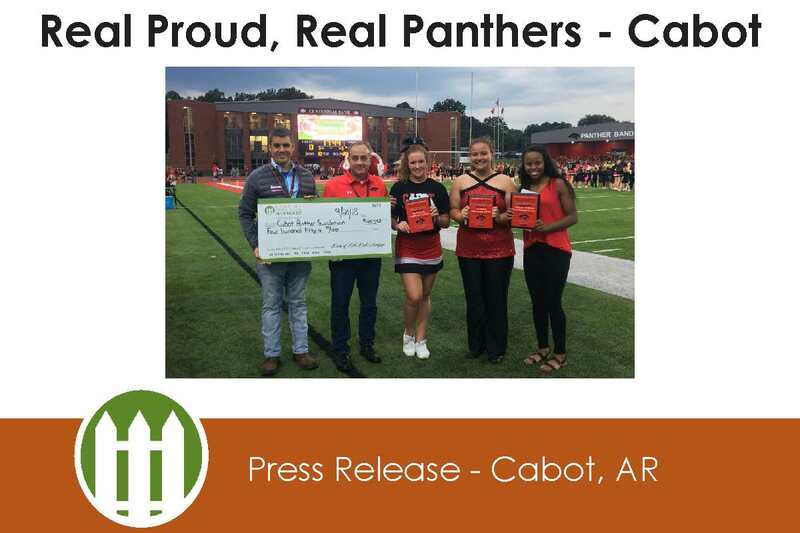 The students were honored as a part of the Real Proud of Real Panthers program, sponsored by Bank of Little Rock Mortgage. Ty Wilmsmeyer and Paige Harris. 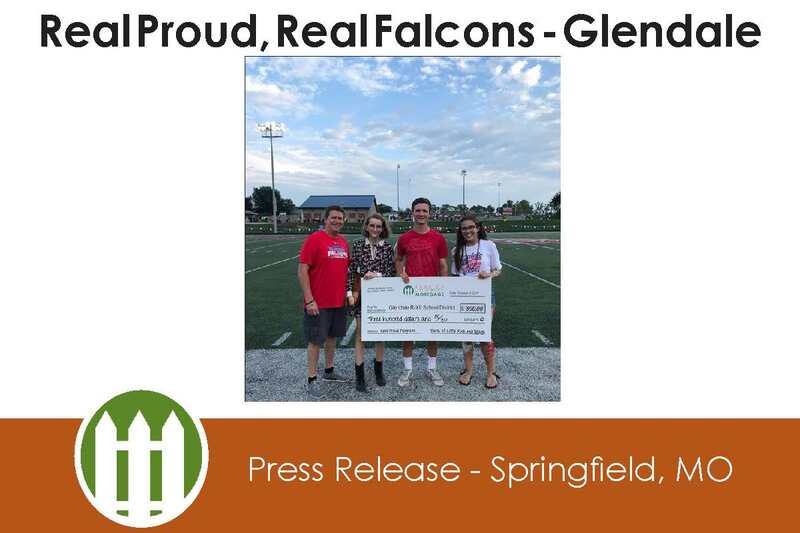 Three Glendale High School students were recognized by Bank of Little Rock Mortgage on Friday, August 24th during Glendale’s football game. The students were honored as a part of the Real Proud of Real Falcons program, sponsored by Bank of Little Rock Mortgage. Ozark, Mo. — July 12, 2016 — Bank of Little Rock Mortgage has opened an office in Ozark, Missouri. 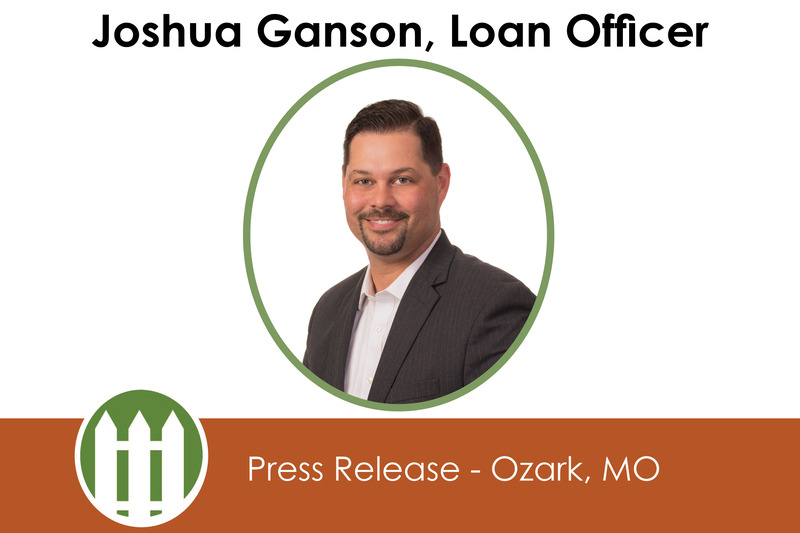 The new branch, located at 1471 W. South Street, will provide complete mortgage services, led by loan officer Joshua Ganson.